We packed our bags in the dark and clambered into the safari Jeep leaving red dust dancing in the air behind us as we raced the soon to be rising sun to the petrified rocks. Heading deeper into the Naukluft Desert the sleeping mid-summer heat reared at us from the darkness. Sunrise was coming soon. 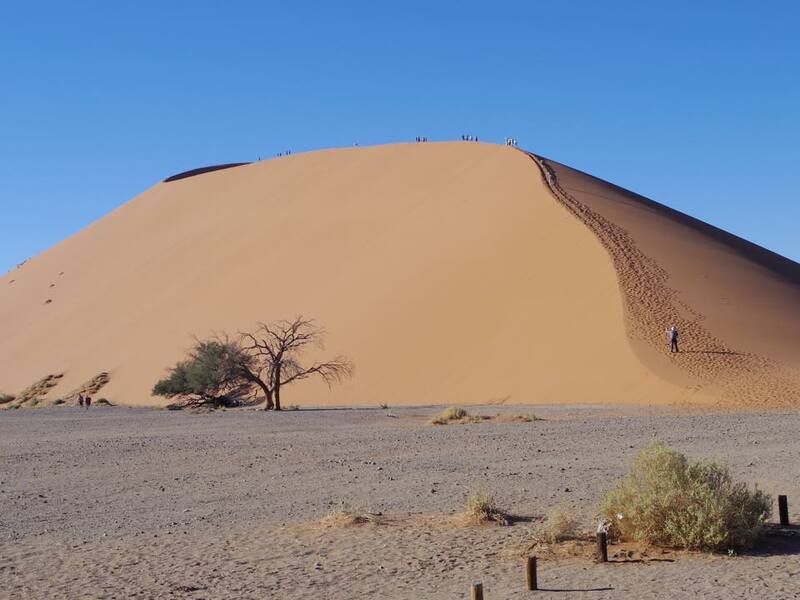 An hour of bumpy driving passes and we are hiking up one of the tallest sand dunes in the world, Namibian Dune 45. It’s star shape prevents the dune size from decreasing with the winds each day. 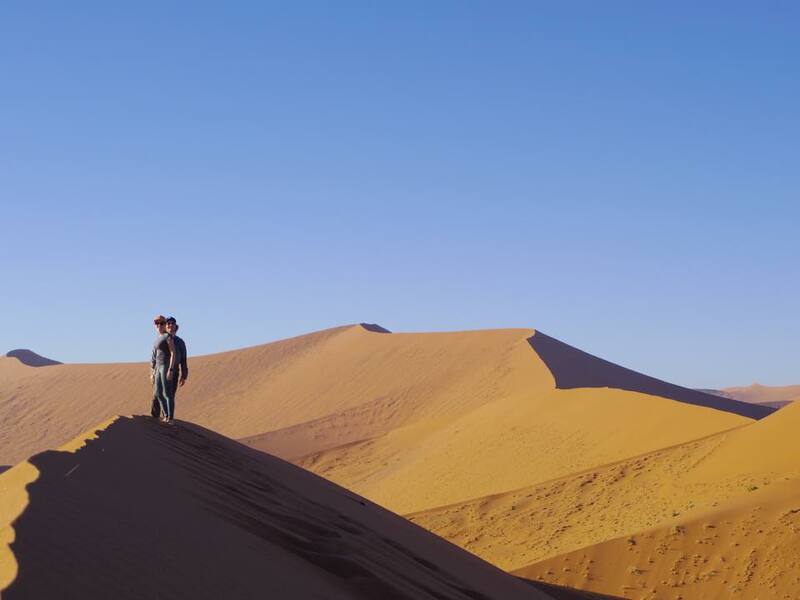 The most breathtaking experience in my life was standing atop Dune 45, watching the sun rise into the red sky above the red desert. 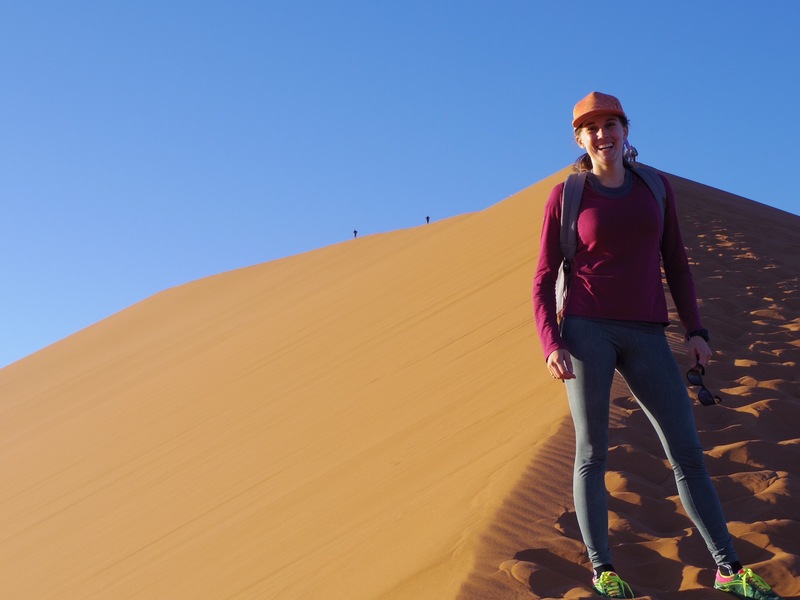 Half of my body sweating from the heat of the sun and half of my body chilled to the bone as the dark cold sand was still in the shadow of the dunes without sun since sunset, the temperatures fall below zero.